Christina Noble is a truly amazing woman. In fact, she is one of the main reasons we are doing all this. Having heard about the Mongol Rally, Ryan looked it up in a free moment and stumbled upon her story. It was her autobiography 'Bridge Across My Sorrows' that ultimately inspired the birth of SkipLizard and our spot in the 2007 Rally. Her Foundation, CNCF, is dedicated to serving and protecting children worldwide, offering medical aid, educational opportunies, vocational training, job placement, and refuge from economic and sexual exploitation. They aim to maximize each child's potential within the context of family, community, love, and respect. The Sunshine Ger Village Project shelters street children and orphans. 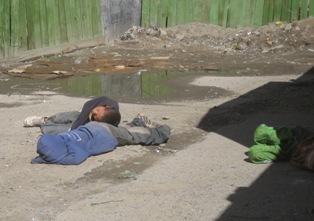 A large number of children in Mongolia are forced to leave home because of poverty and abuse. They live in the sewers to avoid the extremely harsh winters. CNCF aims to bring these children into a community where they can be nurtured, and potentially reunite with their families one day. The Sponsorship Program links a sponsor to children of families in danger of splitting or pulling the children out of school. Again, the aim is to keep families together for the sake of the children's maximum potential. The Prison Education Project aims to establish education and rehabilitation programs in prisons that were created under a Soviet concept of punishment rather than treatment. Even imprisoned children typically received no education or post-release preparation prior to CNCF. The Healthcare Project completely renovated the pediatric wing of the Ulaanbaatar Charity Hospital and has established a free clinic for people with no money or health insurance, particularly the street children. The Give a Ger Fund is an emergency fund established to provide families in danger of becoming homeless or dangerously under-accommodated with a family home. Mercy Corps Mongolia supports rural communities to meet their economic and social needs, helping individuals, families and communities to become more self-sufficient, diversified in their production, and better linked to local, regional and national markets. 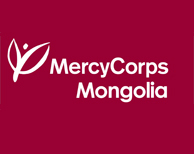 Over the past five years, Mercy Corps Mongolia has established a strong reputation across the vast Gobi region, and continues to work with business associations and local organizations to ensure a robust economy that preserves ancient traditions. The Gobi Regional Economic Growth Initiative (Gobi Initiative) is a rural business development program that aims to assist people in the Gobi region to undertake comprehensive measures that accelerate and sustain market-led economic growth and expansion. The Training, Advocacy and Networking Project (TAN) works to strengthen civic action in rural Mongolia by utilizing local resources to improve service delivery. The aim is to help these rural regions build effective, collaborative and professional civil society organization sectors and enhance community-driven activity for social benefit. The Rural Agribusiness Support Program (RASP) is a rural business development project that works to create opportunity for greater agribusiness development in eleven aimags in central and southern Mongolia. The aim is to diversify and expand rural businesses critical to Mongolia's agriculture sector. Choosing this charity was a no-brainer. In addition to our admiration for Christina, some of the people associated with SkipLizard have direct experiences with the street children of Mongolia, and have seen first-hand how hopeless and downtrodden their situation has become. It is our hope that we can impact the lives of a handful of these kids in a manner that could potentially turn their lives around. This charity is the main focus of the Mongol Rally fundraising initiative. It is a comprehensive effort to bring people in rural Mongolian regions together in a community effort to stay afloat in a progressive business world while still preserving the sacred traditions of herdmen in the Mongol countryside. It is our hope that we can aid this initiative and that the spirit of Mongolia never dies. We have set a goal to raise $1000 for each of these charities. Now that you know the rub, visit our Contribute/Donations page and help us be a part of that effort for these two amazing charities we've chosen to support.